The Uttar Pradesh police has ambitious plans to improve its functioning. 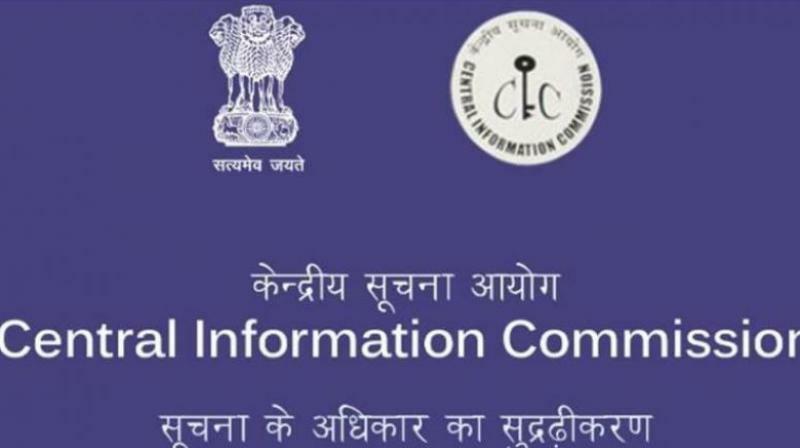 The Central Information Commission (CIC) is acutely short of information commissioners. Against the sanctioned strength of 10 information commissioners, it has only six. And by the end of this year, three more posts of ICs and one post of Chief Information Commissioner (CIC) may fall vacant. In the normal course, the posts should be advertised now, but there does not appear to be any move so far in that direction. Information commissioners Yashovardhan Azad and Prof. M.S. Acharyulu will complete their tenure on November 21, and two days later CIC R.K. Mathur will complete his tenure. Information commissioner and retired IAS officer Amitava Bhattacharya will complete his tenure in the first week of December. The shortfall is not restricted to the top; it runs all the way down. Out of a total 160 sanctioned posts in various categories in the CIC, 38 posts had been filled up by regular officers and staff through deputation and direct recruitment. Balance posts have been filled-up on outsourced basis and through contractual appointments till such time regular recruitments are made. But when that time will come, no one knows. The Uttar Pradesh police has ambitious plans to improve its functioning. For one, it is planning to establish a state bureau of police research and development on the lines of Central Bureau of Police Research and Development (BPR&D). Like its central counterpart, the state bureau will do state-oriented research and analyse different crime patterns, frequency, target groups and vulnerable areas of different type of crimes. Sources say that the decision was taken following a meeting between Director General of Police O.P. Singh with the director general of BPR&D A.P. Maheshwari and other senior officers of the state last week. The proposal will now be sent to the state government for clearance. The state also plans to set up a regional training center of data analytics for BPR&D and a state police university on the lines of Raksha Shakti University in Ahmedabad (Gujarat). The university will offer courses in policing, crime and criminal psychology. Will such measures help in the much-needed image makeover of UP Police? The transfer of 70 IAS and IPS officers in Bihar is being seen as an attempt by chief minister Nitish Kumar to consolidate his hold over the bureaucracy and also move away from the era of “grand alliance”. This is the first since parting ways with the RJD and the Congress in July last year. It may also indicate that he could be gearing up for the 2019 Lok Sabha polls because as per Election Commission guidelines, no transfer can be affected six months before the elections. Most of the IAS and IPS officials transferred had been posted during the “grand alliance” regime and, sources said, several of them were handpicked by RJD leader Lalu Prasad Yadav. A majority of them had been given postings at the state headquarters in Patna. Among those transferred are 22 district magistrates and 17 superintendents of police. But eyebrows were raised following the removal of Gaya senior superintendent of police Garima Malik, who was moved to the relatively low-profile post of commandant of Bihar Military Police (BMP)-10 in Patna. Ms Malik was instrumental in the arrest and jailing of Rahul Kumar Manjhi, the son of BJP MP from Gaya, Hari Manjhi, over charges of flouting prohibition.